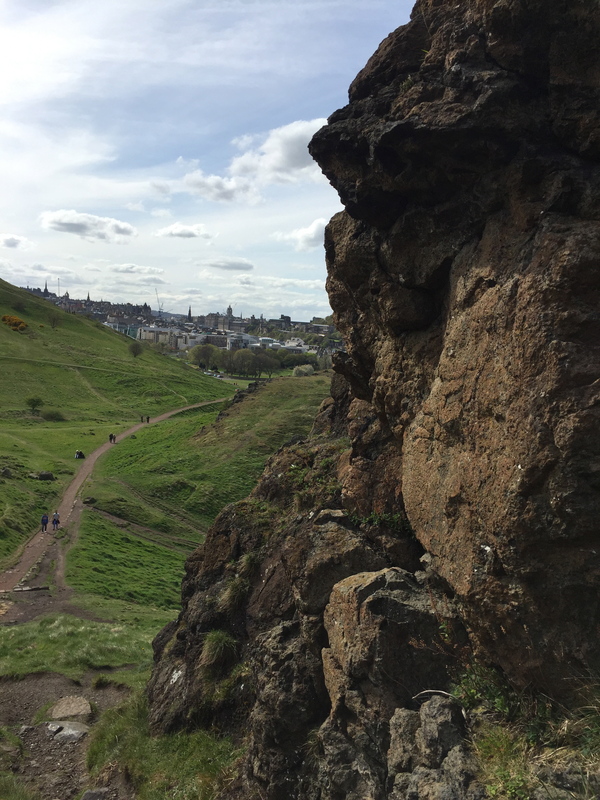 Arthur’s Seat looms over the city of Edinburgh: like a watchdog, or an ominous presence that you can feel is watching you. Some argue that the name is a corruption of an old phrase, Arn-na-Said, meaning Height of Arrows, but many storytellers agree it’s almost certainly a reference to King Arthur. 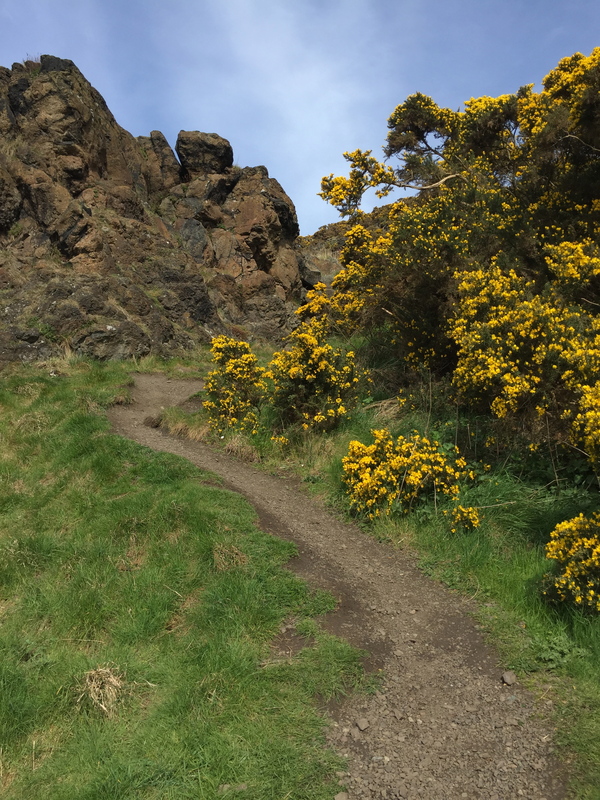 Arthur’s Seat has been the source of many a creepy story, and I will tell you a few of them. One afternoon in 1836, some boys were climbing Arthur’s Seat and came across seventeen tiny coffins that contained seventeen tiny dolls. These small coffins stirred up a hell of a storm in the city, with everyone wondering what they could mean – were they placed there by evil spirits? Voodoo dolls? Witches? As it turns out, if you’ve heard about the brutal yet bumbling body snatching duo Burke and Hare, you probably can guess as to the purpose of these coffins. In 1828, Burke and Hare were two poor, working class men in Edinburgh living in Tanner’s Close in an inn that Hare’s wife ran. At the time, giving your body to science did not exist, as there were a lot more religious superstitions surrounding a dead body. This means that cadavers were in hot demand, and men of SCIENCE were inclined to pay people to bring them dead bodies so that they could pursue their glorious discoveries and teach students about anatomy (or create monsters, one or the other). However, it wasn’t every day that a new body was dropped off at one of Edinburgh’s cemeteries, and digging up graves was hard work. So, Burke and Hare being the lazy lads that they were, decided it would be easier for them to kill tenants at the inn than to dig up graves. Before they were caught, they murdered around 17 people. Therefore, historians now believe that the dolls were made to represent the victims, so as to give them a consecrated burial so that their spirits could move on to heaven. Kind of sweet in a creepy religious way, right? Eight of these coffins still exist today, and I was able to see them on display in the National Museum of Scotland. During the reign of Charles II, there was a man who had once been rich but had fallen onto hard times. He decided to take on work as the city’s hangman. Now, ordinary people don’t really like to mix with the type of person that executes criminals for a living, so as you can imagine, the job wasn’t for everyone. However, he believed that his identity could be kept secret, since he wore a mask on the job. This seemed like a win-win, because he could still hang out around the upper class, but no one would realize where the paycheques were coming from. Unfortunately for him, that was not to be the case. So the story goes, while playing a round of golf his true identity was found out. Ashamed and broken, he ran to Arthur’s Seat and threw himself off of the cliff. His body was found next day at the bottom. That part of the Seat is now known as Hangman’s Rock. 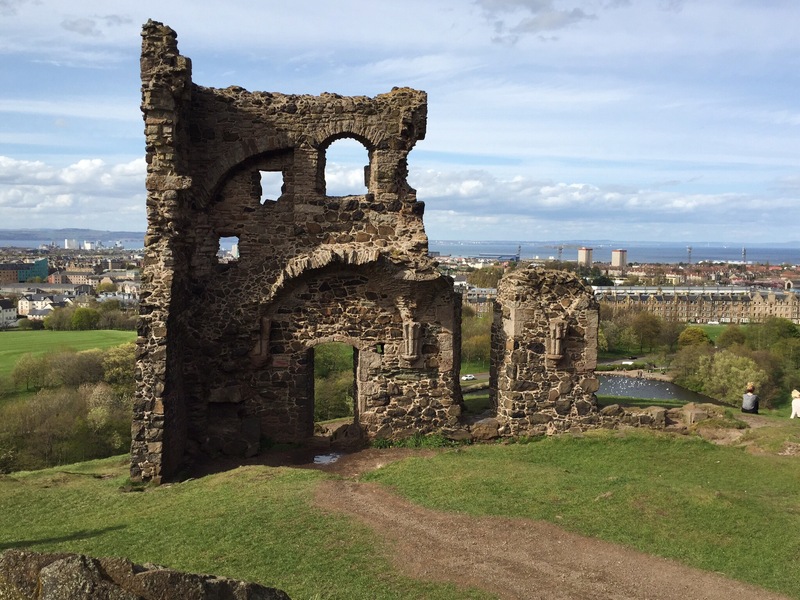 My favourite part of Arthur’s Seat was the ruins of St. Anthony’s Chapel. Thought to have been build in the 1100s, the chapel was a pilgrimage site for people with skin issues. May I never get another zit. Another bizarre link connects the hill with Arthurian legend. 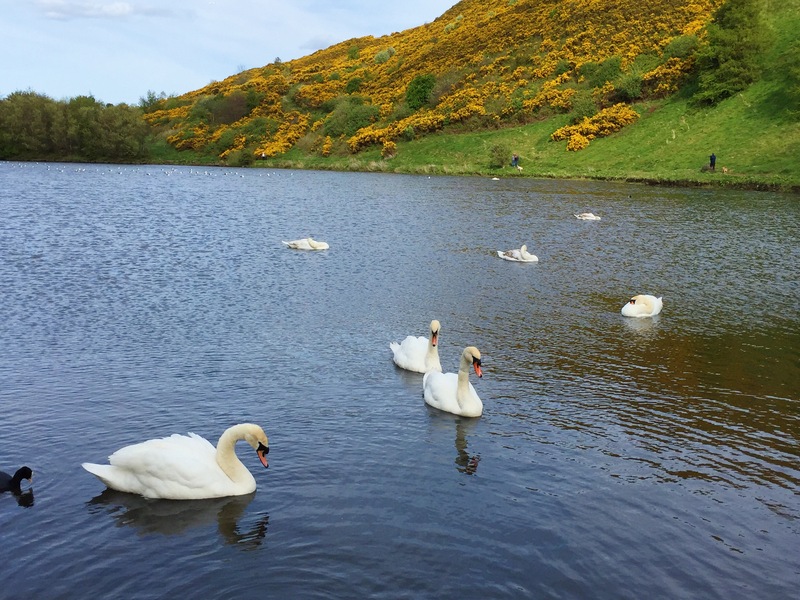 In the 18th century a large hoard of Bronze Age swords and spears were found in the loch, which is now home to swans and other water birds. Some believed the hoard was waste from a smithy, others argued the swords could be offerings to the goddess of the lake or, gasp, the Lady of the Lake (who presented Arthur with his sword, Excalibur). It’s definitely more interesting than your average hill about town! Wow, What an interesting place! The history nerd in me is going crazy with excitement! It’s crazy to think that so many things (important and mysterious) are all centered around one hill. Thank you for sharing this wonderful story. I so want to visit Edinburgh now!